"The next four years are going to be one helluva ride. Because you have never lived through what you are going to live through the next four years ...Part of this is about asking for what you want." Richard C. Hoagland Interview on Rumor Mill News Radio – Is Obama from the African/Sirian Mystery Schools? Richard tells the story of the USS Dunbar. A high school in the inner city of Washington DC. Richard and others turned an old store room into the bridge of a star ship like the USS Enterprise. It is a heart warming story that you will enjoy! – Hour 2 -- Richard begins the discussion of the reason he believes Barack Obama has been "in creation" for a 1,000 years. After you listen to this, you too will wonder if Obama has been groomed by a secret order dating from the time of the Pharoahs... and maybe coming from Sirius! – Hour 3 - Richard leaves at the bottom of the hour. I opened the phone lines and a "soldier" called in. His call is amazing. You don't want to miss it. "The Wicked Witch Is Dead! Long Live the Munchkins!" "2012 Politics Radio Show: Part 1 of 1!" Read David Wilcock's initial assessment of Obama's win: "An Epic Synchronicity in World History!" Welcome to the Miracles and Inspiration conference call for Tuesday, November 18, 2008. Tonight we have a fabulous evening of information and wisdom planned for you so we are happy you could join us. I am Scott Mowry and with me, as usual, is our co-host, Dan Rezac. Dan, how are you this evening? 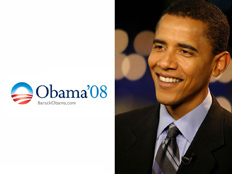 Tonight we are going to take an in-depth look at the election of Barack Obama and what it means to our future. As usual, there is much more to this story with Mr. Obama being put into office at this time, a mere four years from the magical year of 2012. So we are going to take a very close analysis of Mr. Obama's victory and all its hidden meanings. Dan, do you have something for all us to get us off and running tonight? Sometimes the rains fall from heaven and gently nourish your fields, even though you do little. And sometimes the sky dries up, the plants begin to wither, and you wonder where the love and bounty have gone. Look, look over here. See this well going deep into the river of love, the endless river that never goes dry. Pull up a bucket of this love and drink it. Let the love flow through your body, nourishing you, filling you with peace and joy. Look at your hands. See that they are tools that you can use to clear away the weeds of old ways of thinking and being, the weeds of regret and blame, so that the new shoots can reach the sun. See how strong your hands are, strong enough to remove the chains of fear and doubt that are shackled to your ankles, making your life a burden and keeping you from freely walking your fields in joy. When the drought comes, it is necessary to roll up your sleeves, lower your bucket, pull up the water and walk your fields, pulling the weeds and pouring on the water. You must toil hard in the field, deciding which plants are the most important to you and spending your time there. For when you water by hand, you see that it is not always possible to nourish everything. And you must choose, choose to spend your time building an irrigation system or watering the soil with a bucket. Choose how much to allocate to the tree that will bear fruit in the spring and how much to the vegetables that will flourish soon. Choose whether to pour your love on a beautiful flower so that your heart may be filled with beauty as you work. Choose how much time you should spend working in someone else's field to provide for your household while waiting for your fields to mature. There are no right or wrong answers, simply choices, toil and care. But know this: the fields are full of seeds that are awaiting your care. And where you put your attention, is where life will spring up. Where you pour the waters of your love and attention is where the sprouts will push up through the fertile soil of your life and reach the sun. Where you take the time to plant stakes and tie up the saplings to support them against the winds that blow, this is where you will find the strongest trees in years to come. Where you take the time to prune the roses is where you will have the biggest blooms when the spring inevitably comes. Remove those chains of fear and doubt and begin to walk. Dip into your well of love and attention and begin to pour. Work on your irrigation system a little every day, even as you walk the fields to save what can be saved. Plant new seeds of deep-rooted trees for the future and nourish these as well, even as you focus most of your efforts on the crop that will sustain you right now. And while you do this, while you begin to transform your fields, toiling under the burning sun, feel the sweat pouring down your body and be glad. This is what it feels like to be alive, fully alive. This is a part of the path, a part of the vast and wondrous experience of being who you are. This, rising to the challenge, using your wits and your sweat, feeling your muscles strain against the hoe and the plow, then lying in the open field at night, the freshly plowed earth warm under your back, the moon shining in beauty above you, this is life. Yes, this is life. This is the glory of and wonder of life, to spend the day removing stones from the field so that tomorrow's crop may flourish, to rise up to the challenges of life with courage and commitment, enjoying the strength of your soul and body as you overcome. Yes, this is life, a great journey through all the seasons, through the droughts of summer and the storms of winter, as well as the fertile, gentle days of spring, when all that you have done begins to bear fruit. For no matter what happens, the well of love is always full, if you will only lower your bucket down into it and use your strength to pull it up. And the seeds are always there in the soil, if only you will water them with love and attention. And if you have only the strength to bring forth one flower, then bring it forth and let it grace your life. For this single flower is enough to light up your life and see you through until spring comes and the gentle showers from the heavens once more grace your life with bounty and beauty. And know that when this spring arrives, you will look back on this time of toil, sweat and courage with pride. You will remember how you let your power surge through you, how you filled your heart with courage and your mind with new ideas, how you used your wits and your faith to do what needed to be done, how you dug deep into your well of peace and patience, love and joy, to create bounty, how you poured your sweat and blood into the fertile earth. Someday, you will look down at your callused hands and feel the joy surging through you. Ah, yes, you will say, I knew then what it was to be fully alive. 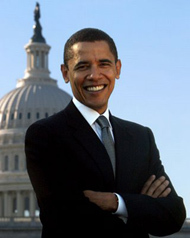 THE VICTORY OF BARACK OBAMA – WHAT DOES IT MEAN FOR OUR FUTURE? To begin with, it may be possibly to safely say that the War OF Terror that has been waged upon the American people is officially over! With the election of Barack Obama we have entered a whole new paradigm! We have an article that we have posted to our web site in our blog section entitled "The Wicked Witch is Dead, Long Live the Munchkins" in which we give our analysis of what the Barack Obama victory means to the future of our country, and, to the future of the world's people. 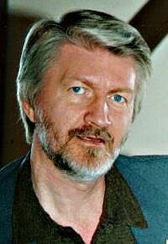 – 6) According to Richard Hoagland, in an interview he conducted with Rumor Mill News radio and host Rayelan Allan. on Monday, November 10th, Barack Obama is part of a plan that has been thousands of years in the making. He believes that Mr. Obama has been strategically placed into office to return the power back to the people. Mr. Hoagland also theorizes that Mr. Obama is going to reveal much about our origins. "Obama's entire election is about making the hidden history of the human race finally unhidden," he said during this extended interview. He cites at least two significant instances that have occurred since Mr. Obama won the Presidential election, that are very telling of the direction the Obama Presidency will move in. The first event took place during Mr. Obama's first major press conference as the President Elect in Chicago, he was asked about the puppy he had promised to get for his two daughters once they begin to occupy the White House. His response to to that question was that "it will be a shelter dog, or a mutt, like me." Mr. Hoagland believes this was Mr. Obama's covert signal to the world's elite that he represents the common people, who do not have links to the ancient family bloodlines that have long dominated American government, and the world, for the last 40 years and more. The other instance that Mr. Hoagland cited was Mr. Obama's reference to Nancy Reagan holding seances in the White House. When it fact, it was not Nancy Reagan, but Hilary Clinton who conducted seances. Rather, Mrs. Reagan was known to have consulted an astrologist often during her residence in the White House. Mr. Hoagland stated this was not a mistake that Hilary Clinton was confused with Nancy Reagan. This was another signal to the world's elite that Mr. Obama will employ all the powerful sacred knowledge, such as astrology, that are at his disposal to return the power to the people. – 7) Barack Obama's victory speech on the night of the election on November 5th, contained one part, in particular, which we thought was extremely significant. He mentioned those in "parliaments and palaces" beyond our shores, which was yet another reference to the world's power brokers. He said in no uncertain terms, "to those who would tear this world down - we will defeat you." Yet another shot across the bow to the New World Order. "And to all those watching tonight from beyond our shores, from parliaments and palaces to those who are huddled around radios in the forgotten corners of our world - our stories are singular, but our destiny is shared, and a new dawn of American leadership is at hand. To those who would tear this world down - we will defeat you. To those who seek peace and security - we support you. And to all those who have wondered if Americas beacon still burns as bright - tonight we proved once more that the true strength of our nation comes not from our the might of our arms or the scale of our wealth, but from the enduring power of our ideals: democracy, liberty, opportunity, and unyielding hope." -8) Two other points are noteworthy about Mr. Obama's behavior as both a candidate and as President-elect. He is always very careful to refer to our country as the United States of America, rather than the secret government, term, "the United States, (Inc.)" that has been used often to fool us. The other noteworthy point is that Mr. Obama often says, "we are the ones we have been waiting for" which is a phrase commonly used by those of the light. – 9) Mr. Hoagland also made particular mention of the Obama/Biden campaign insignia, which resembles that of phoenix rising. Ironically, it is also reminiscent of the Amanita Muscaria mushroom at its initial egg stage, as it emerges from its "nest," which is considered to be its phoenix rising phase, as well. – 10) We also noted that several articles have been appearing in the mainstream press mentioning that Obama plans to dismantle many of the laws, policies and, perhaps, signing statements, that the Bush administration has put into place during their eight years of disastrous rule. So we want to play a couple of extended audio clips from Richard Hoagland from this amazing interview on Rumor Mill News Radio. And last but not least, we would like to play a piece from the David Wilcock audio blog entitled "2012 Politics: Part 2 of 2," in which he announces the end of the Neo-Cons.